If you’re using QuickBooks and Daylite, you’re probably duplicating a lot of work and adding more time to your day. If this is you, rejoice! iOSXpert updated their Daylite FinanceConnector plugin with QuickBooks integration. Now you can streamline your entire accounting process. 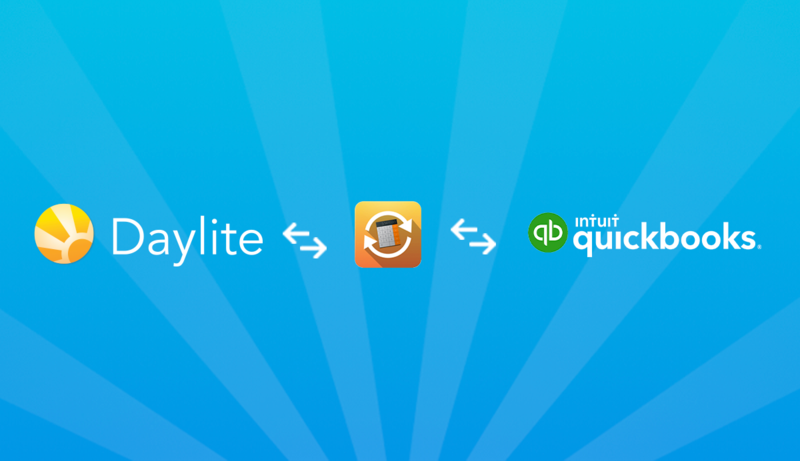 Last month we announced iOSXpert’s beta of Daylite & QuickBooks integration to their Daylite plugin, FinanceConnector, and now it is officially released. With FinanceConnector’s Quickbooks integration, you can add and link your Daylite contacts to your Quickbooks customers, making sure your records are up to date without having to type everything twice. Now you can view a person or company in Daylite and view their invoice history, see the status and totals of any invoices and estimates, as well as view them as a PDF. View a history of invoices and estimates sent to clients from QuickBooks, directly from within Daylite. If you’re using Daylite and Quickbooks and not using iOSXpert’s FinanceConnector plugin, you can try it free for 30 days and shave off hours of time managing your accounting and invoicing.